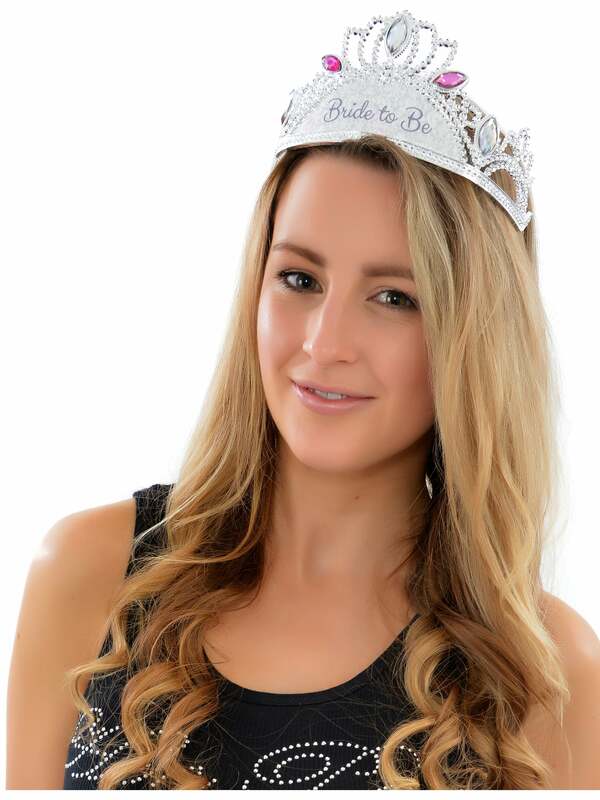 You'll look like royalty on your big night out in this pretty Bride To Be Tiara in Silver. Let everyone know who's marriage you are celebrating and look fabulous doing it! This wonderful tiara has a silver diamante-style frame that slides easily into your hair. The words 'Bride To Be' are written in a delicate font on a floral background and the frame is decorated with pretty pink and blue gems so there's no mistaking whose special night it is.